After the assessment of the NVDA nursery production capacity, the assessment team proposed the necessary nursery inputs (including potentially a greenhouse) that will be necessary to NVDA to modernize their nursery and expand their nursery production capacity in certified citrus saplings. This will enable them with the necessary means to proceed with the establishment of more commercial citrus orchards in the next years. 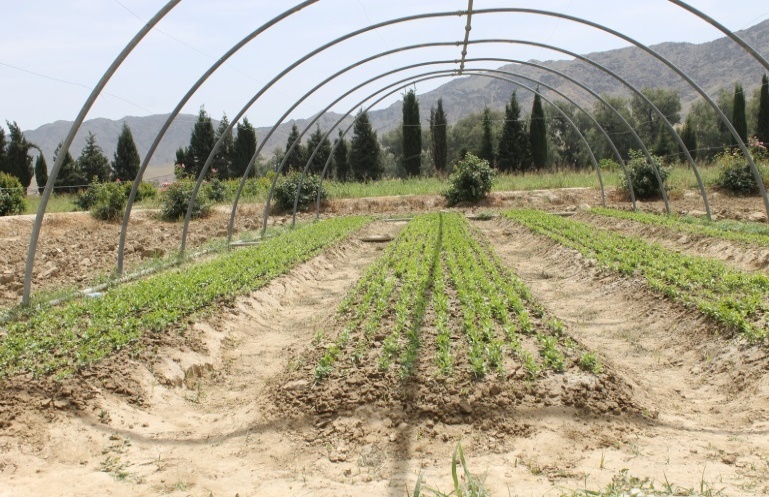 ANHDO is supporting NVDA in establishing this modern citrus nursery and the NVDA contribution is the land, the materials required for the metal structure of the green house, welding facility, skilled and unskilled construction workers, provision of potting media (soil, sand and alluvial soil). 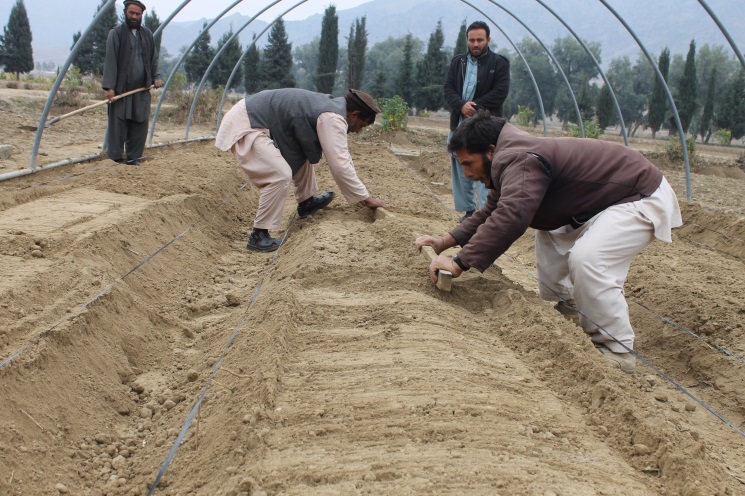 Some important steps towards establishing this nursery has been taken such as producing seedlings in green house, irrigation system, land preparation for the nursery and construction of the green house is under working and we hope that very soon the construction will be completed and the nursery will be setup. In this nursery NVDA will be able to produce 30,000 certified citrus saplings every two years. Figure 3: Green house construction under work. Hmm, nice idea. Is there any team or group for building this program?